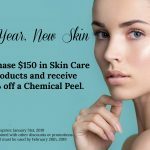 Brighten your complexion and nourish your skin with this non-invasive, multi-step treatment that combines the benefits of next-level hydro-dermabrasion, a chemical peel, automated painless extractions, and a special delivery of super serums filled with antioxidants, hyaluronic acid, and peptides. HydraFacial does all of this in one quick treatment that delivers real results without downtime or irritation. If you are concerned with aging, uneven skin tone, fine lines & wrinkles, rosacea, acne or large pores this is designed just for you! It leaves your skin with a radiant glow! 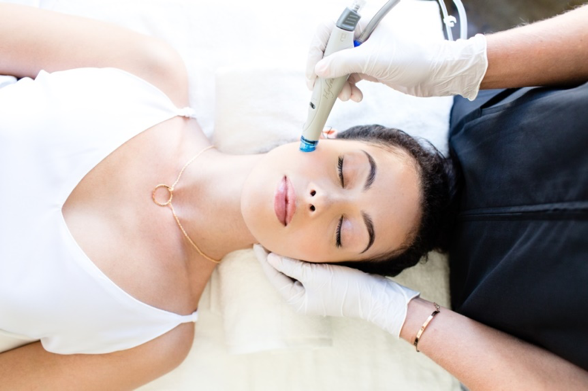 An invigorating treatment that includes all of the essentials of the HydraFacial MD while incorporating a relaxing massage on the neck, décolleté, arms, and hands. 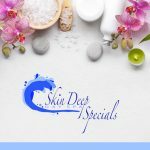 The Ultimate HydraFacial experience! Begin the detoxification process with lymphatic drainage. Then, the HydraFacial deeply cleanses, exfoliates, extract and hydrates the skin while addressing your specific skin concern with a Booster of your choice (Britenol or DermaBuilder). Enjoy a relaxing massage on the neck, décolleté, arms, and hands. This treatment is concluded with LED Light Therapy to further reduce the visible signs of aging, redness or acne. *Discontinue all retinol products at least 2 days before the service. Your skin cannot be sunburned at the time of your service. You cannot receive a HydraFacial if you are pregnant , breastfeeding or if you have a cold sore break out. HydraFacial MD with DermaBuilder is a non-invasive treatment that contains an advanced multi-peptide complex to strengthen and firm skin. This treatment targets fine lines around aging areas. HydraFacial MD Britenol treatment features the proprietary Britenol Complex, developed to rapidly and effectively diminish the appearance of brown spots, sun spots & hyperpigmentation. HydraFacial MD with CTGF, developed using advanced growth factor technology to deliver firmer skin while diminishing the appearance of fine lines and wrinkles. This non-invasive treatment enhancement for the face, neck, chest, and hands gives you immediate & long-term result to keep you looking your best all over.